It’s getting to the time of year where many companies need to increase their use of chemicals that are essential to ensure the smooth running of their businesses. The majority of these will be ordering these chemicals in bulk to cover their entire fleet for the season, necessitating the use of a range of chemical storage tanks. Different chemicals need different tanks as these liquids can often be corrosive and flammable, so all tanks involved need to be made to order based on their contents. What chemicals will be used in abundance this winter and beyond, then? Let’s take a look. This is one of the easiest and most common ways of preventing ice and snow from settling in one place. This is a very effective way of reducing accidents and improving grip for shoes and tyres when applied to public paths and roads. AdBlue fluid is an additive that is used with diesel engines that have Selective Catalytic Reduction technology. AdBlue is a urea solution in a clear and odourless form. It is non-hazardous and converts harmful NOx into water and nitrogen, making engines use less fuel in the process. 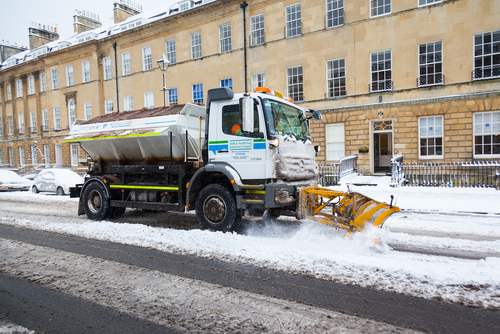 De-icer is used to remove any ice that has settled, primarily on vehicles, aircraft and machinery. When applied, it breaks down the bonds that have formed between ice and snow and the surface you need clearing. It also stays on the surface, aiding removal and preventing any immediate reactions from occurring. Antifreeze is an essential winter additive for many vehicles and outdoor machines. This product is adding to vehicle radiators as a coolant, preventing the water inside from freezing in winter and overheating in summer, preventing damage in the process. The farming and agricultural industry is a huge part of our culture here in the UK, and one that also requires the use of chemical storage tanks. With such vast quantities of crops being grown up and down the country, it is imperative these the yield is maximised by reducing the amount of damage caused by insects. Pesticides and insecticides, as well as liquid fertiliser, are often sprayed over crops to protect them and help them grow. For more information about the kind of chemical tanks we manufacture, please browse our range here or contact our team on 01889 567700 to discuss your individual requirements.